The Hawaiian Islands offer a huge variety of activities for families. We recommend the Big Island with kids as it offers the best diversity of Hawaii. 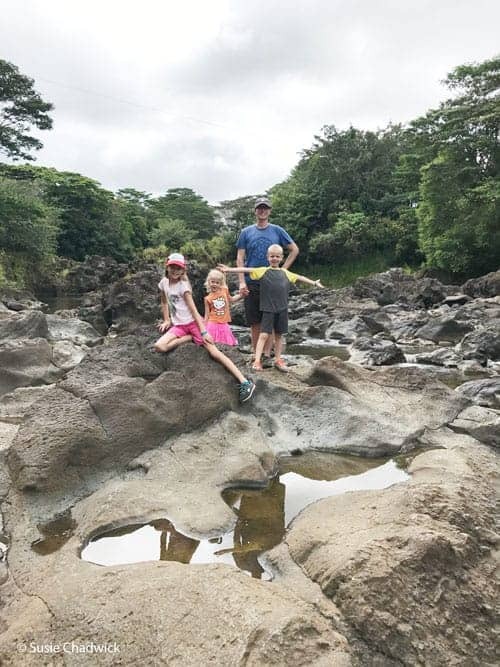 We drove around the entire island to explore and discovered cool things to do on the Big Island with our four kids. 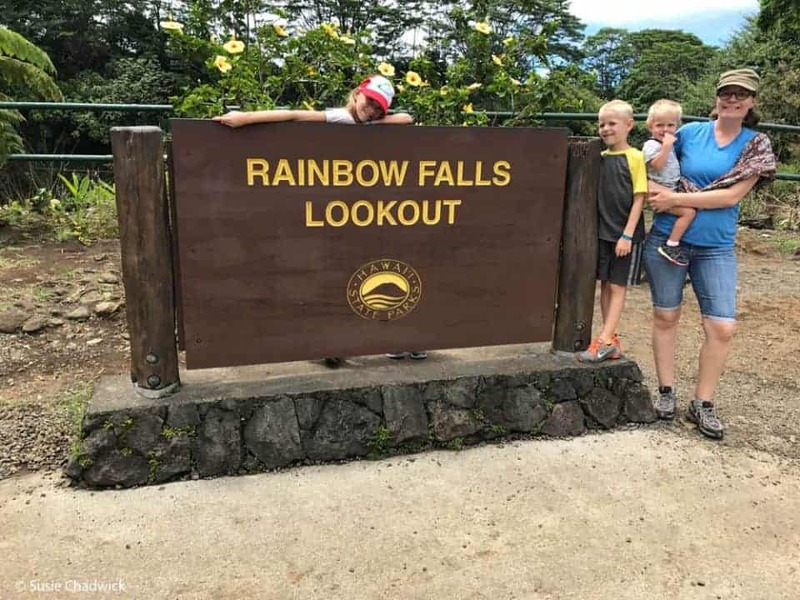 The number one favorite Big Island activity for our entire family was Rainbow Falls. The rainbows in the falls are mostly visible early on sunny mornings. However, that was only a small part of the draw for us (especially since we visited on a cloudy afternoon). At the top of the falls are the Boiling Pots – basins collecting the river water as it rushes toward the falls. You can wade and climb on the rocks and enjoy the cool water. Wear water shoes, if you can – the rocks are slippery. Along the five minute hike to Rainbow Falls are some enormous Banyan trees that are irresistible to climb. My kids played in these trees for an hour, and could have stayed much longer. 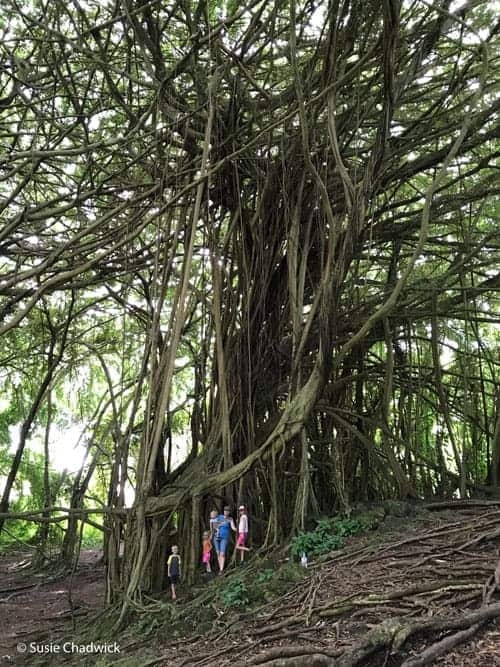 Climbing the banyan trees became the favorite Big Island activity for my kids. 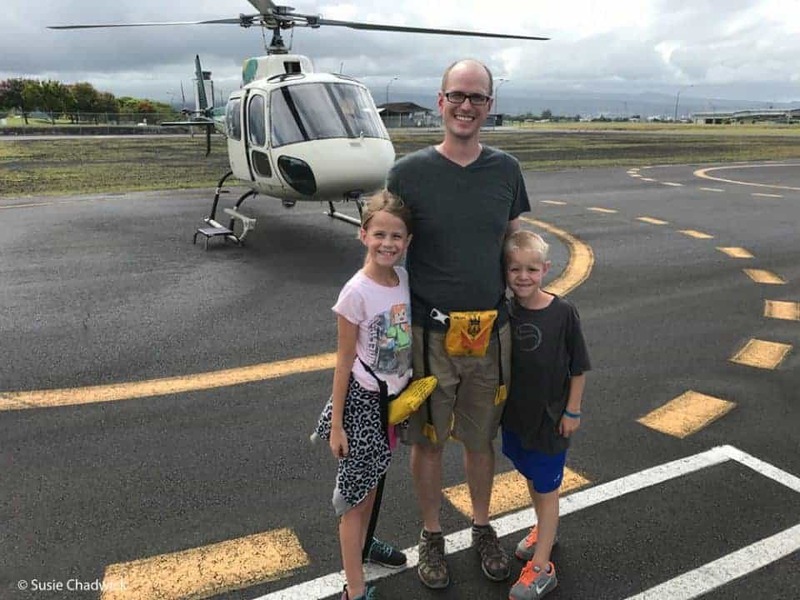 Many helicopter tour companies in Hawaii have an age requirement, and you probably don’t want to take a baby on a helicopter anyway, so this isn’t for everyone. But dad took the older kids (7 and 10) on an amazing Big Island helicopter tour. They departed from Hilo airport and soared over the active volcano, watching lava and steam rising from the crater. They also got to see lava and waves crashing into each other along the coast! It was unforgettable. 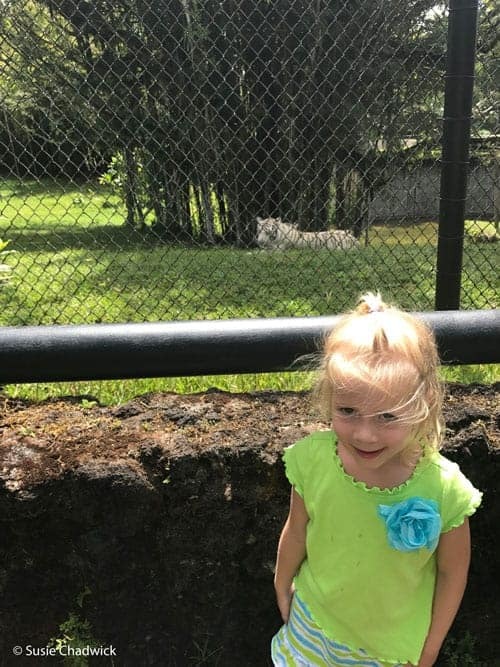 During the two hour helicopter tour, I took the two younger kids (1 and 4) just south of town to the Pana’ewa Rainforest Zoo. This Big Island activity was amazing, and admission is free! There were tigers, anteaters, alligators, lemurs, monkeys, and all kinds of incredible tropical birds and plants. It also has a few really nice playgrounds. The zoo was the highlight of the trip for my four year old. 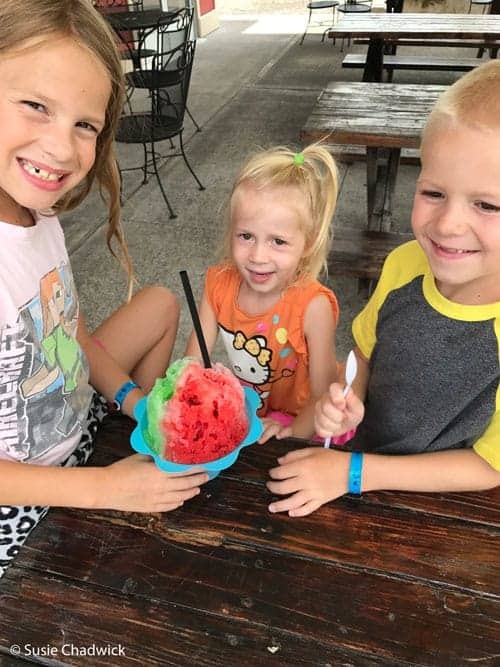 No Hawaii vacation with kids is complete without getting shaved ice. Walk around Hilo and you’ll easily find a shop. There is nothing as refreshing as real Hawaiian shave ice! One of the top things to do on the Big Island is explore a volcano! From the viewpoints along the main road you can see the volcanic crater, with steam rising up from the exposed lava. 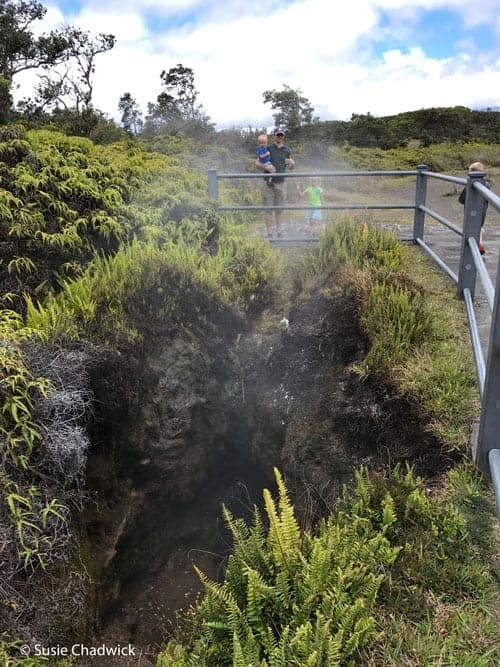 Within a five minute walk you can walk right up to natural steam vents in the ground. 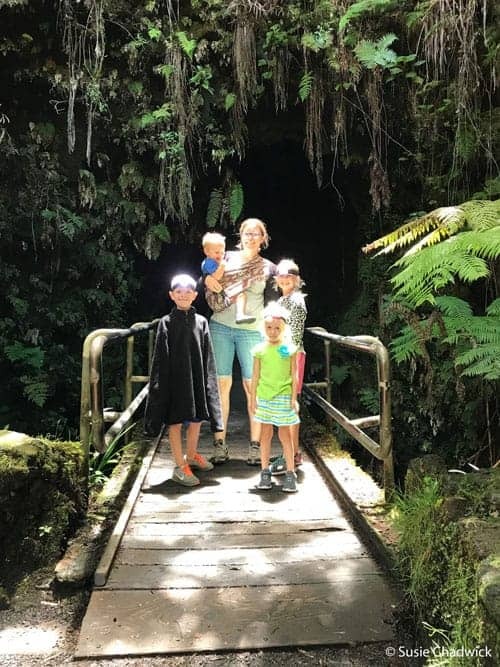 We also went through the Thurston lava tube – a short 20 minute round trip walk that takes you through an actual (extinct) lava tube. Bring a headlamp for this! Although we love hiking with kids, we have two very young children and were aiming for a more relaxing vacation, so none of our hikes were longer than 20-30 minutes. However, the adults were pining to explore some of the longer trails in the Hawaii Volcanoes National Park. Highly recommended. Note: Be sure to pack your National Parks Pass. 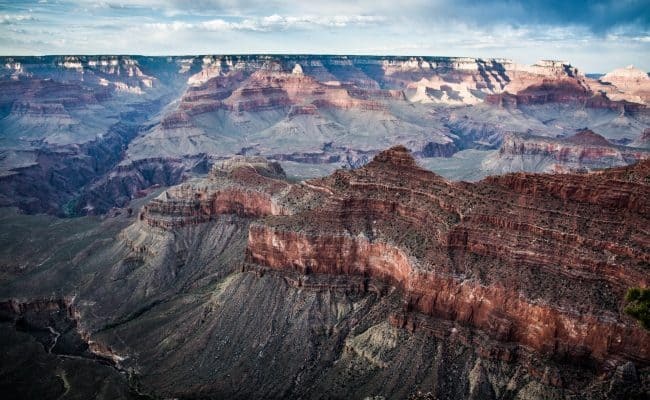 And remember, fourth graders get in free to all National Parks. Just make sure you print and bring an Every Kid in a Park pass. Punalu’U Beach is a Big Island adventure that’s fun for the whole family. The beach has two cool things to see and do. First, the sand is black! Many of Hawaii’s colored sand beaches are difficult to access, but you can drive right up to this one. 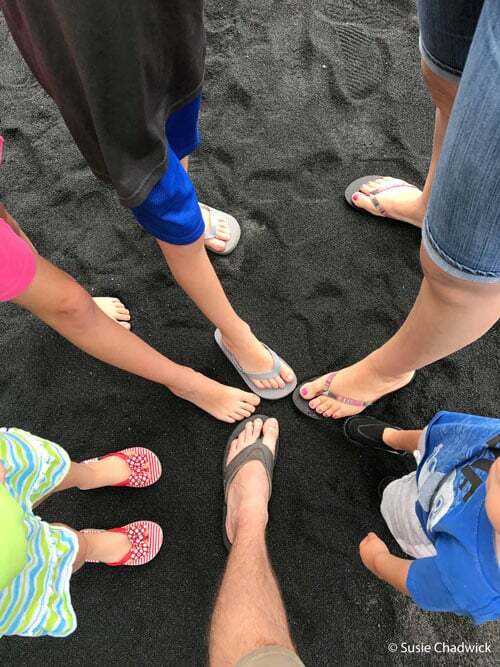 Stepping on the black sand of the beach was incredible. Second, this is a popular stop for sea turtles! You can also swim and snorkel, but stay out of the water at high surf. 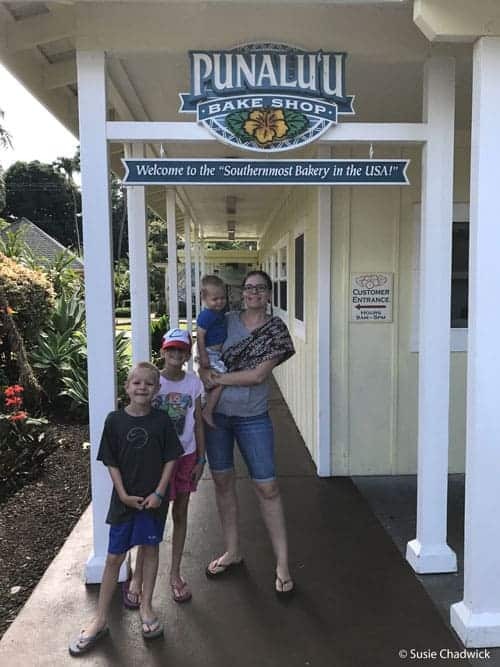 This bakery on the Big Island is famous for their Hawaiian sweetbread, or Portuguese malasadas – donuts. They were delicious and the prices weren’t bad. It’s definitely a must-stop activity. Maunakea is one of the only places in the world where you can drive from sea level to 14,000 feet in about 2 hours. Altitude sickness is a strong possibility so children under 16 are discouraged from going higher than the Visitor Information Center. A 4 wheel drive vehicle with Low Range is STRONGLY RECOMMENDED to travel beyond the visitor center. Check with your rental car company to see if you are allowed to travel on Maunakea. One cool Big Island adventure is experiencing most of the world’s climate types. Keep an eye out for the sudden changes of landscape every half an hour. A Hawaii family vacation is very exciting and there is a lot to do. But it’s also a great place to relax and the beaches in Hawaii are amazing. We alternated days with big activities or lots of driving, with days where we scoped out a nearby beach and relaxed. Using public access at resort beaches will give you access to rental gear for snorkeling, kayaking etc. You can also buy day passes to a resort to use their pools. We HIGHLY recommend booking an Airbnb or a hotel suite with a kitchen. Kids are such picky eaters, and food is very expensive on the Big Island. We made a trip to Costco on our arrival day, and visited Walmart halfway through our trip, and fed our kids meals at our condo most days. For cultural experience, we sometimes got take out for the adults and fed the kids familiar food at home. As I mentioned above, we did several lounging days where we visited nearby beaches, or used a resort pass. But we also had a pool at our condo that was convenient for some winding down time after a long day of driving. We travel lightly, and our trip to Hawaii was no exception. We brought one checked bag, one carryon, and a few back packs for our family of six – including rain gear, swim gear, water shoes, and hiking shoes for everyone. We were able to accomplish this by doing laundry in our condo each evening. As fun as it is to haul car seats and boosters around the airport, they are free to check, and quite expensive to rent with your rental car. Traveling lightly allowed us to handle carrying the car seats with ease. There are simple tips to help you travel with car seats and not lose your cool! I like hiking, theme parks, the beach, and exploring Southern California. I have four kids, and wherever I go, they follow, making travel a family affair. We've dragged them from coast to coast, all over Asia and into Europe, with stops at every Disney park along the way. Travelling with kids is a different ball game altogether. One needs to indulge in activities that keeps the family engaged as a whole. Hawaii looks a perfect holiday destination. Punalu’U Black Sand Beach got me curious. I wish to do the volcano exploration for sure. The Big Island travel tips are very helpful. Hawai is such a great place for whole family fun and entertainment. The kids really have a gala time there. BTW i loved those banyan trees and Hawaii Volcanoes National Park in your post. I always imagined Hawai to be just about beaches. That’s why we went to the Big Island! We wanted more than just beaches. 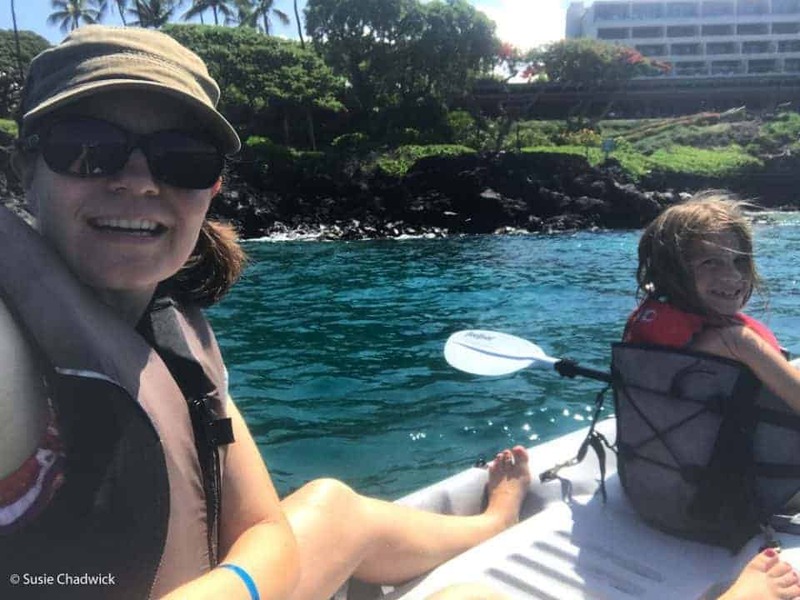 I have never been to Hawaii and I don’t have children but the activities sound great, even for a single traveler. 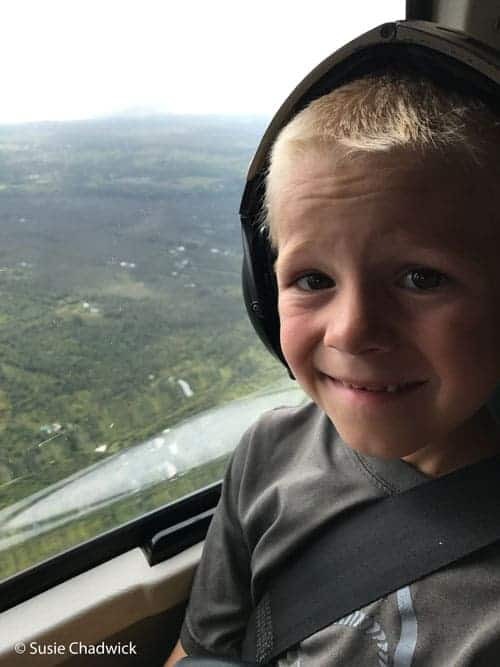 I would love to do the helicopter tour, the views from up there must be fantastic, especially that you can see lava too. The Rainbow Falls sounds like a great day spent in nature. Seeing the lava flow from the helicopter was unforgettable! This is a great list! Also I cannot imagine how you pack so lightly… like there’s packing lightly… and then there’s being Mary Poppins. Well done though. I’ve yet to make it to Hawaii, but should i ever get there, I am def coming back to this great guide! Mary Poppins, haha! If you have access to laundry, it’s pretty easy. I don’t have kids, but I loved some of these suggestions! I would love to climb those trees and eat shaved ice! Hawaii looks like a dream! The trees were amazing. There were plenty of adults up there! Although I dont have kids these things were pretty helpful, great list. I am going there soon and cant wait to finally see the big island. I am surely gonna do the helicopter tour! Have fun! The helicopter tour was expensive, but very unique. SO beautiful! I want to go to Hawaii so bad! It makes me realise how similar topographically Hawaii is to my new country Indonesia. 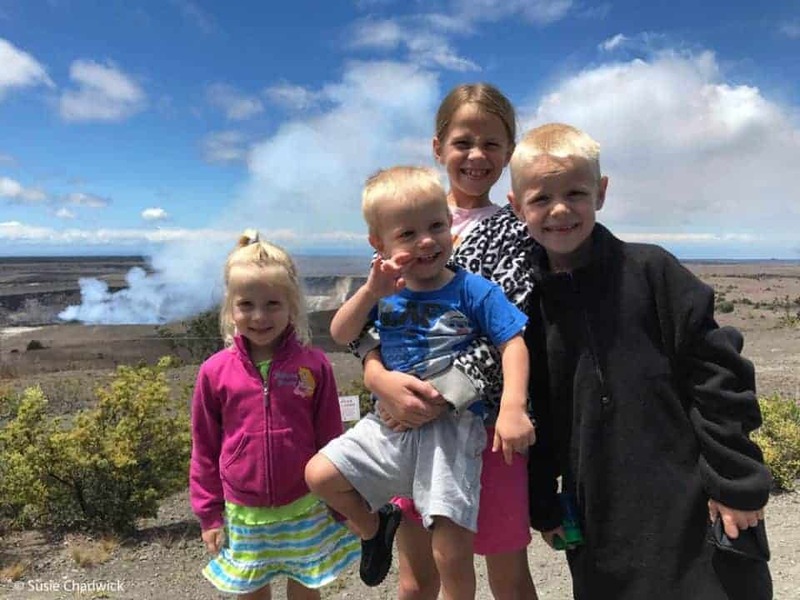 I’m always looking for new stuff to do with my family, and you have inspired me to take my kids to a volcano. Thank you! Yes! I’m sure your kids would love to explore the volcano. You don’t always need to travel far to see interesting sights. Thank you for sharing! I am headed to Hawaii with my little one next year and this is really going to come in handy. Looks like you guys had a really good time! Those banyan trees are so amazing looking! I imagine they did play in there for an hour! It kinda reminds me of the tree from Fern Gully. Yeah! Loved Fern Gully as a kid. Haha!